In trying to figure out who Donald Trump’s new White House chief strategist Steve Bannon is, journalists, activists, and others are looking primarily at two sources: Breitbart News, the far-right publication Bannon ran before decamping for the Trump campaign in August, and statements Bannon himself has made over the years. In light of what they’ve found, the Bannon appointment has been decried by a variety of rights groups and liberal politicians, from Harry Reid to the Anti-Defamation League. 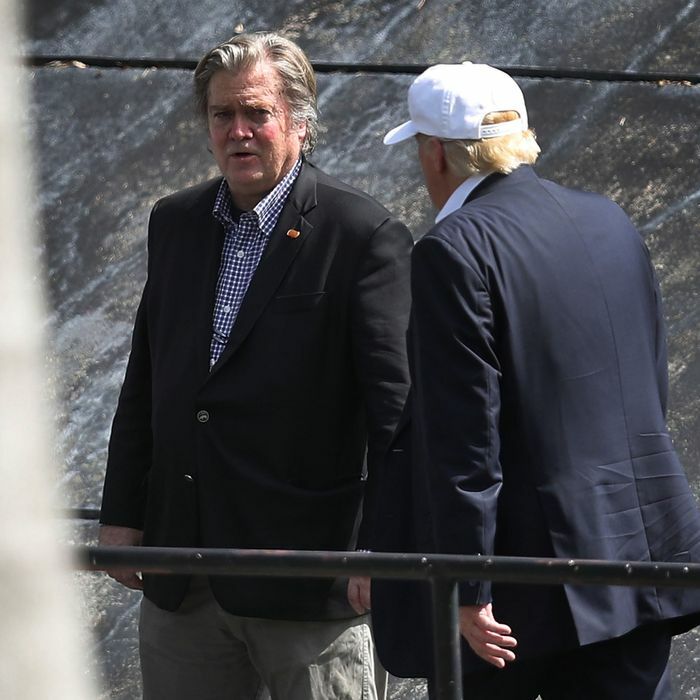 Just about all of the statements that have been issued accuse Bannon of promoting white nationalism or anti-Semitism on Breitbart, and some accuse Bannon himself of being a white nationalist or an anti-Semite (the Huffington Post explicitly referred to Bannon as an anti-Semite in its headline on the controversy). The claim that Bannon is personally an anti-Semite, though, is one of the most potentially explosive criticisms of him circulating at the moment. It comes primarily from sworn testimony his ex-wife, Mary Louise Piccard, gave in 2007, during a contentious divorce battle over child custody — the same testimony in which she accused Bannon of domestic battery and of attempting to intimidate her into not cooperating with the subsequent investigation, which was eventually dropped (there was, in fact, a police report indicating a domestic-violence incident that was obtained by Politico). The court declaration from the ex-wife outlined three separate anti-Semitic remarks that Bannon allegedly made as she toured some of the most elite private schools in the Los Angeles area for their daughters. On the one hand, this story was told in a sworn declaration. On the other, it did come from a custody battle, in a context in which each party had an incentive to make the other look as bad as possible. And in a statement he sent to NBC News via a spokesperson, Bannon denied having made anti-Semitic remarks. But in a phone conversation yesterday, the former director of Westland School confirmed the Hanukkah-book exchange took place. So from Piccard’s point of view, then, the Hannukah question was a signal of Bannon’s anti-Semitism, of his desire to not have his daughters in too Jewish a school environment. From the director’s point of view, it was an anodyne question about whether and to what extent the school was truly secular. The director’s recollection doesn’t conclusively prove Bannon made anti-Semitic statements, of course. But it does show that the most immediately checkable part of this episode checks out: According to the only other person who was present, Bannon did, in fact, ask why there were so many Hannukah books at a potential school for his daughters. This means that Piccard, who didn’t return a message left yesterday at what a public-records search indicated was her number, was truthful about that. Whether you believe Bannon holds anti-Semitic views depends on whether you believe Piccard was similarly honest in the rest of her testimony as well.